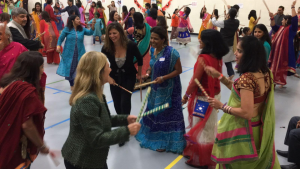 Dandiya Night Celebrated with Great Fervor at Oak Street Elementary School on Tuesday, October 11th, 2016. O what an evening! 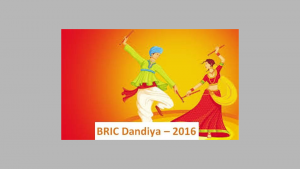 Everyone dressed up in their fineries, happy to celebrate Dushera on the day it fell, and to dance the evening away with friends and loved ones. 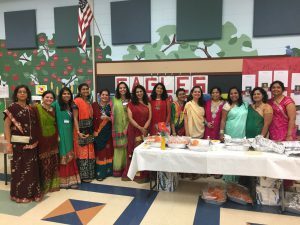 The Basking Ridge Indian Community came together on October 11th, the day of Dushera, to play Garba & Dandia at Oak Street Elementary School. 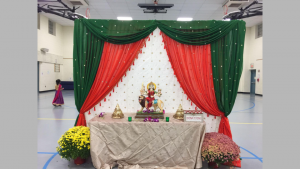 About 300 Indian residents from all the pockets of Basking Ridge came together and celebrated with dance,food, and festive spirits.